One of spring’s greatest gifts is green asparagus. Whether you prepare it in a salad, risotto, or as a simple side, it’s bright flavor perks up any dish. 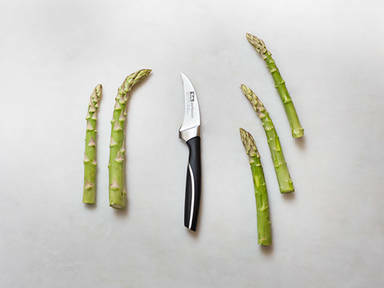 Green asparagus is much easier to prepare than its woodier, white cousin. Simply remove the ends and small tips from the sides, and cook as desired!